You could argue that pie is pretty perennial, but as Thanksgiving approaches, we’re declaring the official start of pie season. 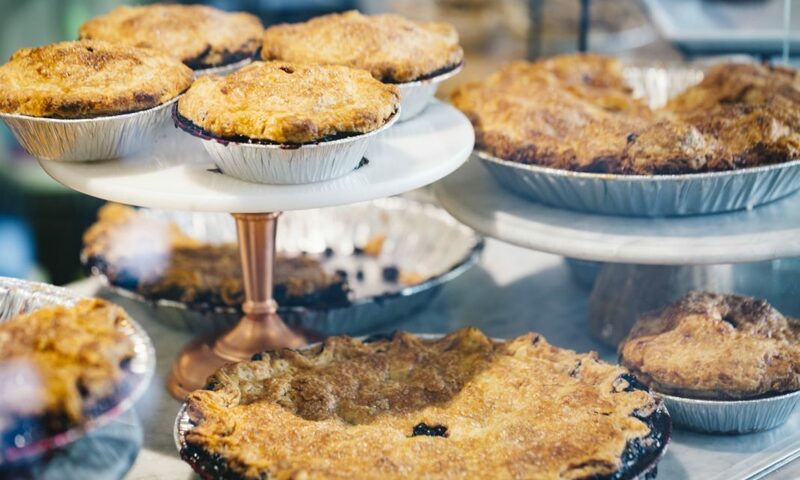 Since September 2017, Winston Pies (in Brentwood and now in WeHo) has been feeding our obsession with its handmade, all-natural pies. Each filling and crust is made from scratch at the flagship location in Brentwood. There are five signature offerings—gluten-free and vegan versions are available—and there’s a rotating menu of seasonal pies made with locally sourced ingredients. We tried all of their signature pies, and although loved them all, we tried our damndest to rank them. This is basically a top-five list, so you might’ve guessed that an apple pie would appear. In the Harvest Apple pie, besides using a traditional mix of spices, master pie-maker Brianna Abrams uses a variety of apples, depending on which ones are in season. 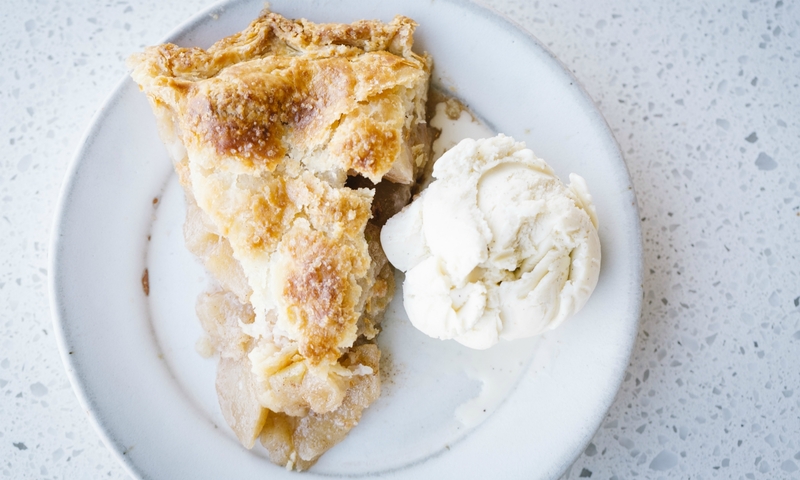 No matter what kind of apples are in it, it’ll always have that apple pie flavor we know and love, and it’ll always taste best with a scoop of Van Leeuwen ice cream, served at both Winston Pies locations. 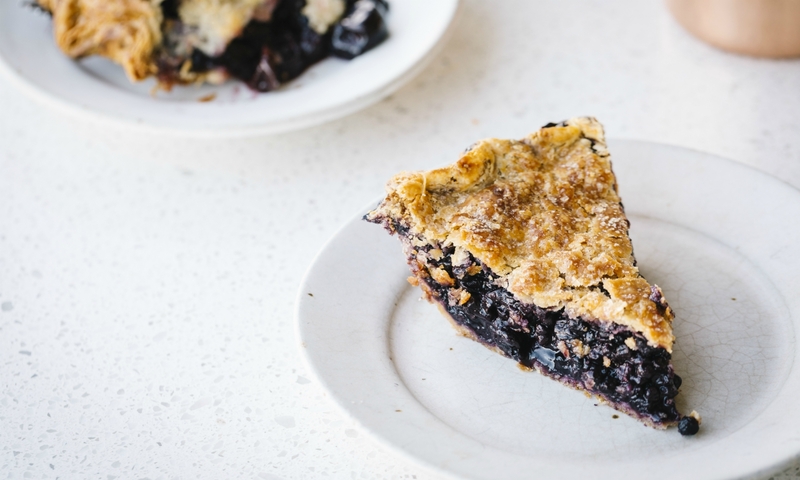 The Blue Ridge Blueberry pie is made with whole blueberries—like, a lot of them. Each bite is packed with the little suckers, and the flavor of this pie is like pure, unadulterated, fresh, whole blueberries instead of that weird, cloyingly sweet gloop that you might find in other fruit pies. The butter crust, featured in all Winston fruit pies except key lime, is perfectly flaky and always crispy. It somehow never gets soggy, even if you take a slice home to save for tomorrow, which you should do because this one makes a great breakfast pie. 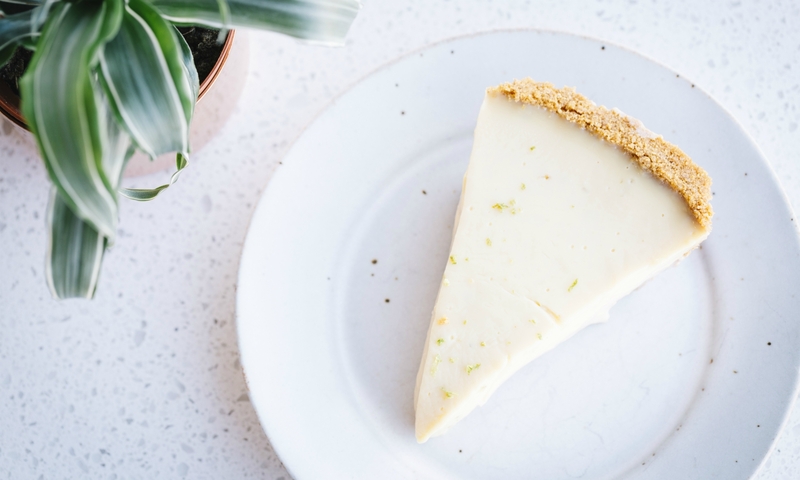 The Key West Lime pie is just tart enough to make your face consider puckering. The homemade graham cracker crust has a subtle sweetness that pairs well with the zingy, velvety lime custard. The flavor is bright and refreshing, and if you’ve just led a full-fledged assault on your tastebuds with a big meal, this one works as a tasty palate-cleansing dessert. Fun fact: There have been numerous studies that prove that eating chocolate improves brain function and cognitive ability. So keep that in mind while you indulge in a slice of this chocolate bomb. 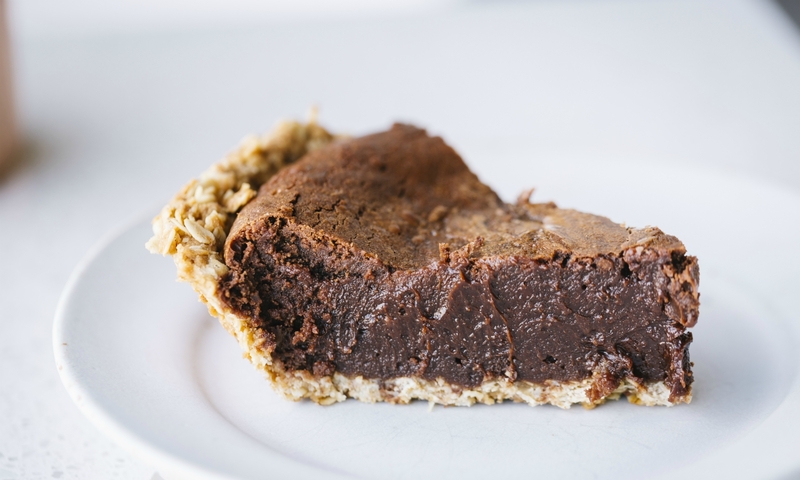 Made with organic, free-trade Ecuadorian chocolate and infused with caramel, this fudgy chocolate pie is intensely flavorful. Though the chocolate flavor is pretty extreme, the crunchy homemade oatmeal crust (our favorite Winton Pie crust) is just salty enough to strike a perfectly tempting sweet-salty balance that you want in a dessert. Among the most polarizing food debates of our time (i.e. Coke or Pepsi, Shake Shack or In-N-Out, Taco Bell or Del Taco), apple pie vs. cherry pie is one of the most contested. As for our Winston Pie debate, the Dixie Classic Cherry pie won us over. 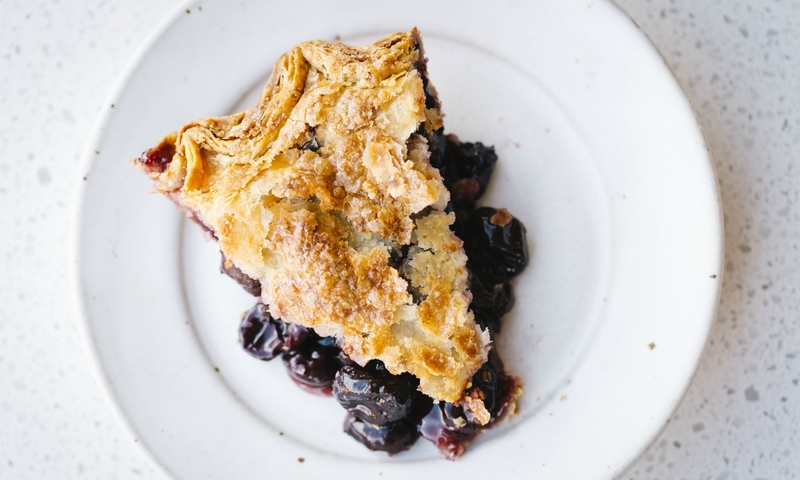 It’s made with sweet dark cherries, and like the blueberry pie, the cherries are left intact, so every bite packs a mouthful of big, plump, whole cherries. The pie isn’t terribly sweet, so you can taste the natural sweetness of the cherries and nothing artificial. And that flaky butter crust is the perfect complement to the dark cherries. It’s the best pie at Winston—and one of our favorite pies in town. Next article7 of the Best Places to Buy a Christmas Tree in L.A.